Yesterday on QUILTsocial I showed you how I used the PFAFF Expression™ 4.2 to make an improv wonky house block with a window and a chimney. Today I get to play with some of the wonderful decorative stitches on this PFAFF machine and use them to embellish my house block. The decorative stitches are all displayed on the flip-up lid. And of course all the stitches can be made longer, narrower, wider, denser etc, just by touching the + or – buttons. The possibilities are endless on this PFAFF machine! 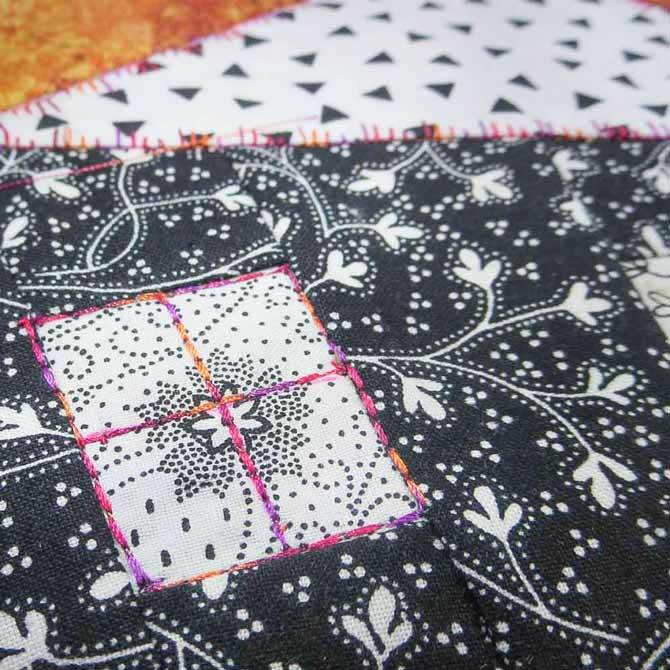 When using decorative stitches, it’s always a good idea to put some type of stabilizer under the fabric. My favorite stabilizer is a page torn from an old telephone book. It’s readily available and is easy to remove after stitching. But of course you can use your own favorite product if you wish. I used stitch 65 with a variegated thread to go around the roof outline. With the paper stabilizer underneath and the integrated dual feed foot engaged, the stitch came out perfectly. 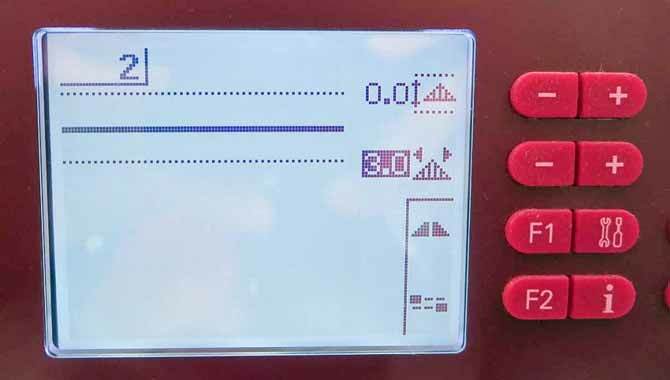 The large graphic display screen shows your chosen stitch and it’s easy to change the width and length by using the plus and minus buttons. I used stitch 2, which is a triple straight stitch, to go around the window. Next I used stitch 14 on the door and stitch 56 on the grass. 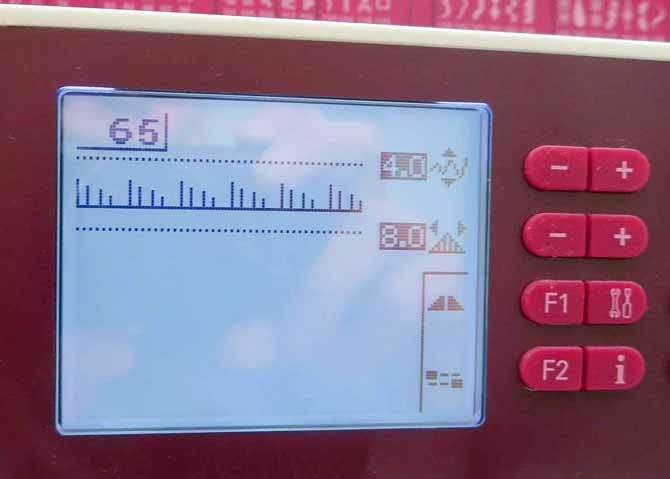 It’s so easy to change between stitches on the PFAFF Expression™ 4.2. Just press the number of the stitch as shown on the flip-up lid and everything is ready to go! And here’s my little improv house with all the added stitching. 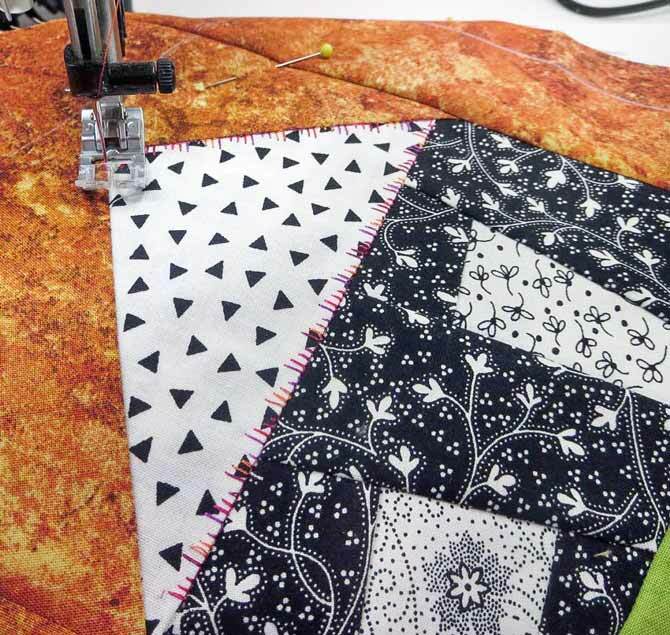 Come back tomorrow and I’ll show you how to sew the improv houses together and quilt them on the PFAFF Expression™ 4.2 to make a little wall hanging. Jean has been designing and publishing patterns since 1997. For the past 10 years she has been designing patterns for new fabric collections by Northcott Fabrics. Her work has been published in several magazines in both Canada and the United States. 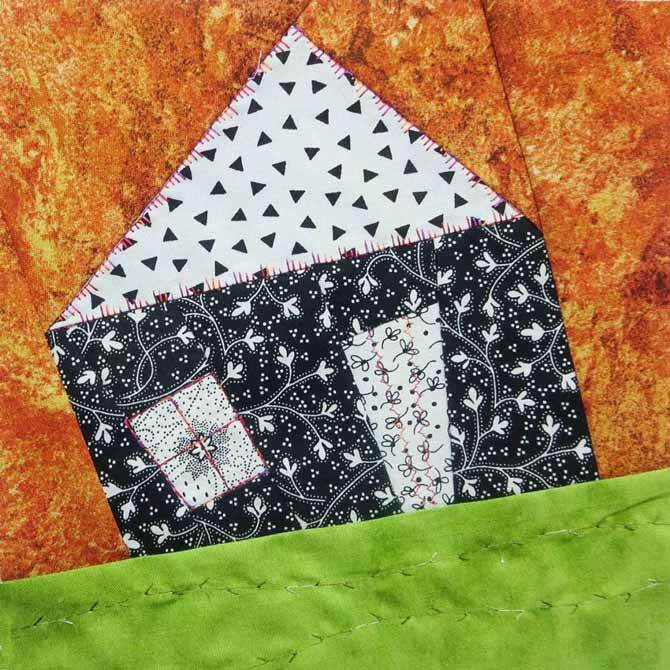 Jean holds a Fiber Arts Certificate in quilting and has taught extensively throughout Canada, including six national Quilt Canada conferences. She was named "Canadian Teacher of the Year" in 2003 by the Canadian Quilters Association and has won numerous awards for her quilts. I used Rainbows 40 wt #814 by Superior Threads. Glad you enjoyed the post!